Paradise. The word is a personal one, meaning something different to every individual. Perhaps it means soaking up the sun beside the pool, unwinding during a relaxing couples massage or watching a movie with the family under the stars. Whether you long for a romantic getaway or an epic vacation for the entire clan, Dreams Resorts & Spas are the perfect destinations to find your paradise — from Caribbean islands to Mexico and beyond. Watch the video below to begin dreaming of your beachside escape. From kid-friendly activities to reservation-free gourmet dining experiences, nearly every part of your stay at Dreams Resorts & Spas is included, so all you need to focus on is the fun at hand. Families will appreciate the spacious guest rooms and suites with 24-hour room and concierge services. Parents can rest assured that their children will have a blast at the Explorer’s Club, where little ones are supervised by Red Cross-certified staff, and older ones can hang out at the Core Zone Teens Club. There’s plenty of fun for adults too: Sip top-shelf cocktails poolside, enjoy a romantic beach dinner and feel the energy of theme parties and nightly entertainment. We’ll help you select the destination and resort that is right for you and your loved ones, whether it offers the benefits of Unlimited-Luxury® or the special amenities of Defined DelightsTM. Let the Caribbean destination of the Dominican Republic welcome you with golden sunlight, iridescent blue waters and the warmth of its people. Discover the two luxury resort experiences of Punta Cana and La Romana and find your piece of paradise. 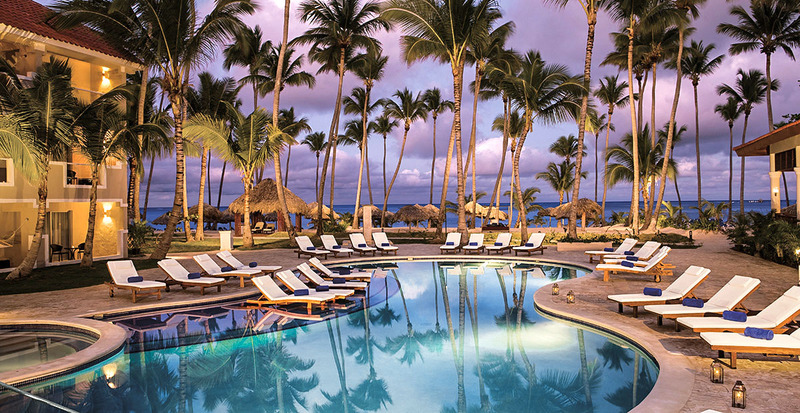 Secluded in a lush tropical paradise on the east coast of the Dominican Republic, the Unlimited-Luxury® Dreams Punta Cana Resort & Spa’s luxury rooms and suites provide stunning views of flourishing vegetation, palm-studded beaches or the sparkling Caribbean Sea. Kids will love floating in a tube down one of the largest pools in the Dominican Republic, from the lobby until they reach the beach, while adults can follow behind, enjoying the perks of a swim-up bar along the way. 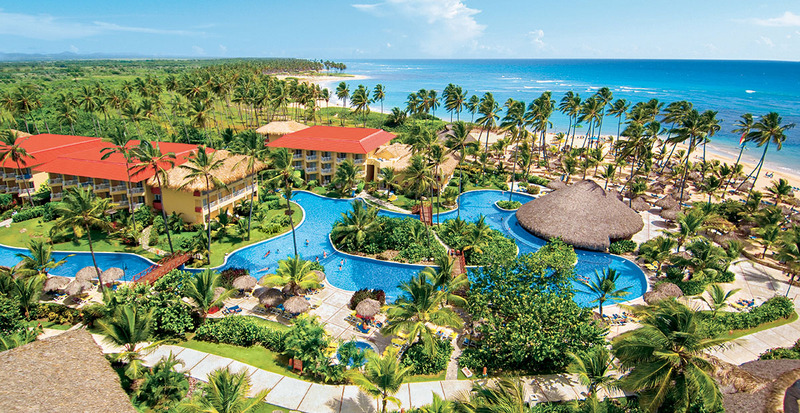 Dreams Palm Beach Punta Cana, a AAA Four Diamond resort, is the picturesque setting for your next Dominican Republic vacation, whether it’s a retreat for two or it includes the little ones, too. This friendly, relaxing resort is a world of its own with powdery beaches, swaying coconut trees, a majestic turquoise sea, expansive accommodations, eight restaurants and the incredible inclusions of Unlimited-Luxury®. 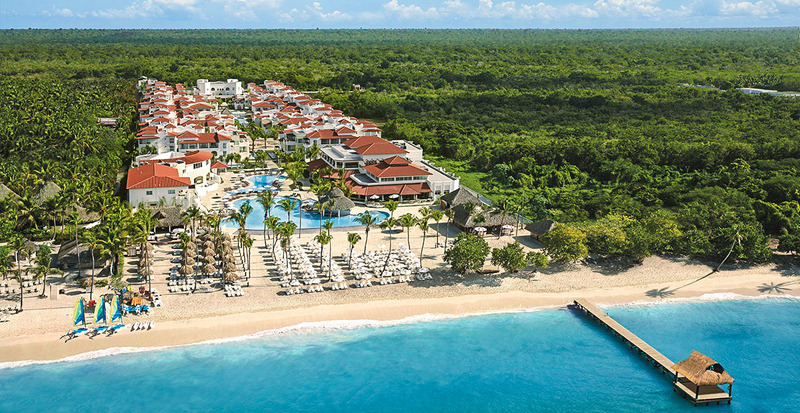 Journey just 45 minutes from Punta Cana to the southeastern coast of the Dominican Republic and uncover Dreams La Romana Resort & Spa set amidst pristine, eco-friendly beaches. The expansive rooms and suites and the Unlimited-Luxury® experience make it an ideal getaway for couples — and couples with children. Within close proximity to the colorful coral reefs of Saona Island and Catalina Island, as well as Altos de Chavón, a charming replica of a 16th-century Mediterranean village, and two international airports, the resort is perfectly positioned for all your needs. 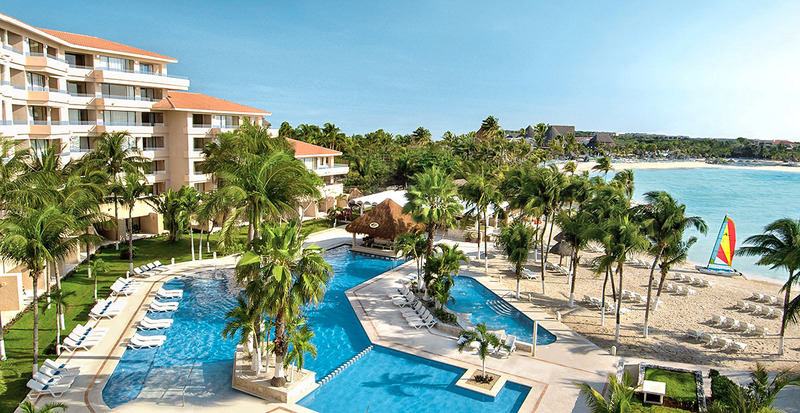 Dreams Dominicus La Romana - NEW! Just southeast of La Romana on the palm-fringed sands of Bayahibe is the luxurious, all-new beachfront Dreams Dominicus La Romana. The perfect destination for a family vacation or romantic getaway, this Dominican Republic resort offers 391 spacious guest rooms and suites. Enjoy Unlimited-Luxury® amenities, lounge by one of the three pristine swimming pools or retreat to the expansive Dreams Spa by Pevonia®. Venture just minutes away to golf at championship courses or journey offshore to nearby Saona Island. From mystical, history-filled Riviera Maya on the shores of the Caribbean to the favorite celebrity haven of Los Cabos on the tip of Baja California — we’ll help you find the resort destination that’s just right for you and your family. 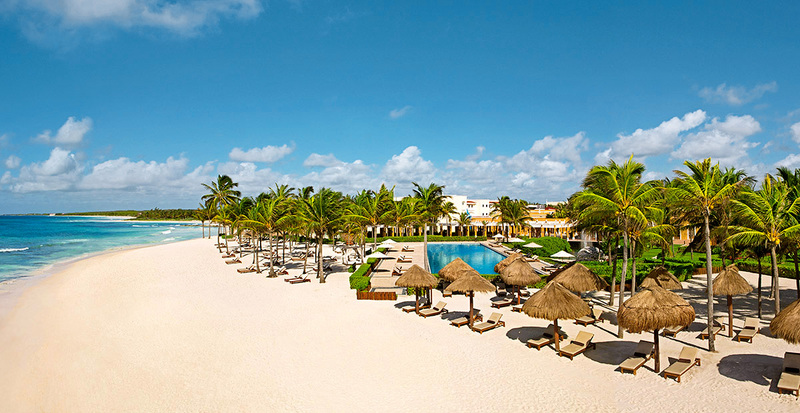 Surrounded by glistening pools, tropical gardens and a white-sand beach, Dreams Riviera Cancun Resort & Spa, a AAA Four Diamond resort, is designed to reflect the charm of the Mexican Caribbean. Luxuriate in one of the 486 premium rooms and suites, where each includes at least one Jacuzzi, and ground-floor rooms offer a plunge pool, a daily refreshed minibar and a wealth of other amenities. Dine in nine gourmet, themed restaurants without worrying about a reservation, and sip cocktails at six fabulous bars. The allure doesn’t stop there — be treated to complimentary greens fees at two championship golf courses nearby! 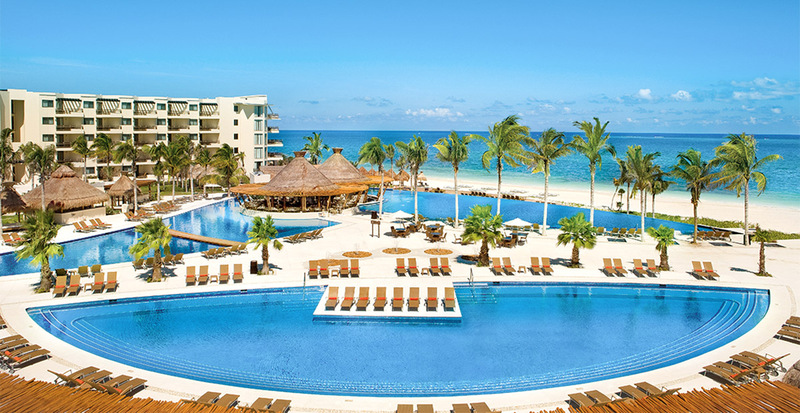 Stay in the heart of the hip and happening hotel zone at Dreams Sands Cancun Resort & Spa! Within walking distance of great shopping, restaurants and bars, and a short 15 minutes away from downtown Cancún, this beachfront resort offers excitement for the young and young at heart, plus the amazing inclusions of Unlimited-Luxury®. 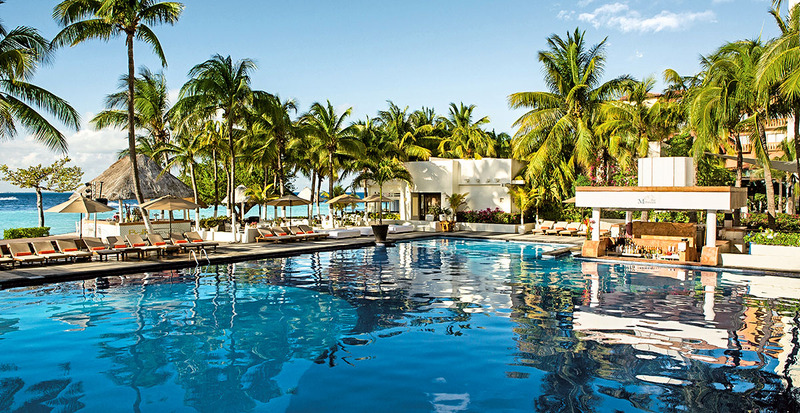 Enjoy elegantly appointed rooms with breathtaking views of the Caribbean Sea and Isla Mujeres, a 650-foot stretch of a private beach, two swimming pools, an on-site spa and fitness center, countless daytime activities and exciting nightlife. Perfectly situated in an exclusive gated community and surrounded by secluded beaches and the turquoise Caribbean Sea, Dreams Playa Mujeres Golf & Spa Resort boasts 502 luxurious suites. 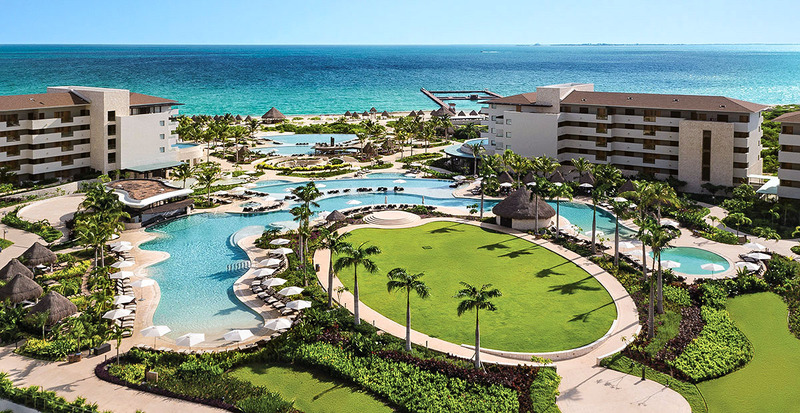 Step beyond your accommodations and discover activities for every age: playing a round of golf at the 18-hole course next door; plunging into any of the infinity pools, six whirlpools or the children’s pool; and splashing in the water park and a lazy river. Plus, the Unlimited-Luxury® resort is conveniently located just 10 minutes from downtown and 35 minutes from Cancún International Airport. Ancient history, wondrous beaches, palm trees and deep blue seas provide a mesmerizing backdrop for Dreams Tulum Resort & Spa. The Riviera Maya resort blends classic Mexican colonial architecture with ultra-luxurious accommodations and first-class service for a truly incredible escape. Whether you're looking for some adventure or relaxation, you can choose from the exciting Playa del Carmen, the fascinating Maya ruins of Tulum and Xel-Ha, teeing off at a nearby championship golf course and much more. 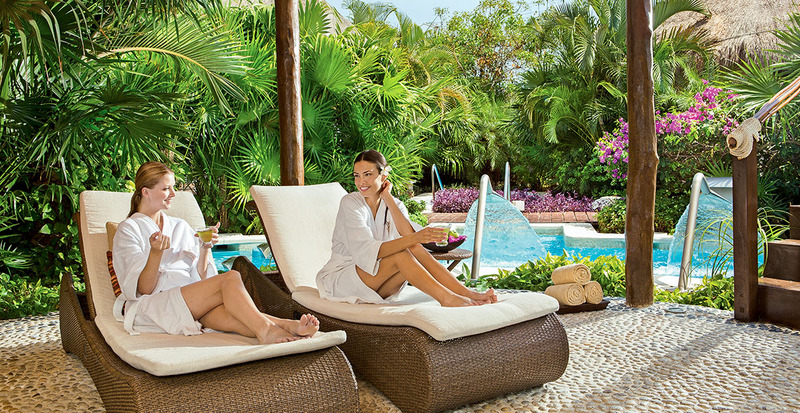 Near infinite pleasures and possibilities await at Dreams Puerto Aventuras Resort & Spa. First, tee off at a 36-hole course or a miniature golf course, then dive into warm waters during a PADI-certified diving training lesson, or have a truly memorable experience at the Dolphin Dreams by Dolphin Discovery, one of the largest dolphinariums in the Riviera Maya region. Unwind from a day of fun-filled activities with a soothing massage at Dream Spa by Pevonia®. 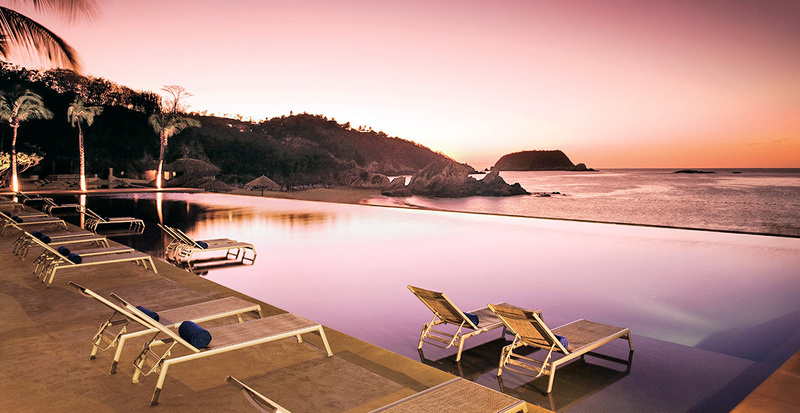 With picturesque mountains rising behind and the turquoise Tangolunda Bay resting before it, Dreams Huatulco Resort & Spa places you and your family in the heart of it all. Enjoy the special indulgences of Unlimited-Luxury® and the lavish Preferred Club with upgraded suite accommodations, terrace soaking tubs, a private Preferred Club Lounge and concierge service. While being surrounded in the ultimate comforts, you can rest assured that you're participating in a community that gives back to nature. The region of Huatulco is the first destination in the world to earn the EarthCheck Gold Certification for their commitment to sustainable tourism. Dreams Los Cabos Suites Golf Resort & Spa, a AAA Four Diamond award-winning resort, embraces the elegance of traditional colonial Mexican design while reflecting the natural beauty of Los Cabos. 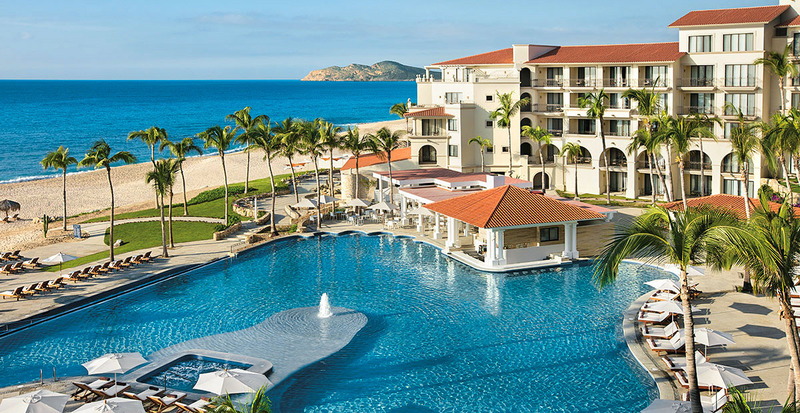 Located on the sparkling Sea of Cortez, this Unlimited-Luxury® seaside resort boasts three swimming pools — an infinity pool, a main pool with a children’s section and the adults-only pool — two swim-up bars, championship golf courses, a full-service spa, a fitness center, the Explorer's Club for kids and gourmet à la carte restaurants. Escape to Dreams Villamagna Nuevo Vallarta, a AAA Four Diamond oceanfront resort hideaway set in the spectacular Banderas Bay. 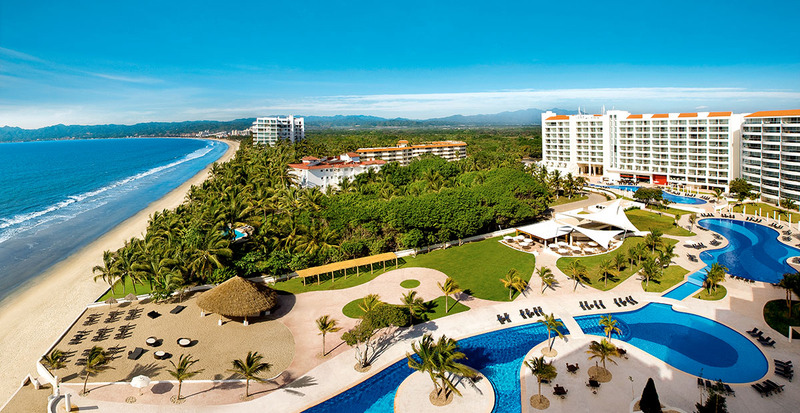 Make your home away from home in a stunning suite with sweeping vistas of the Pacific Ocean or the Sierra Madre Mountains while enjoying the inclusive perks of Unlimited-Luxury®. 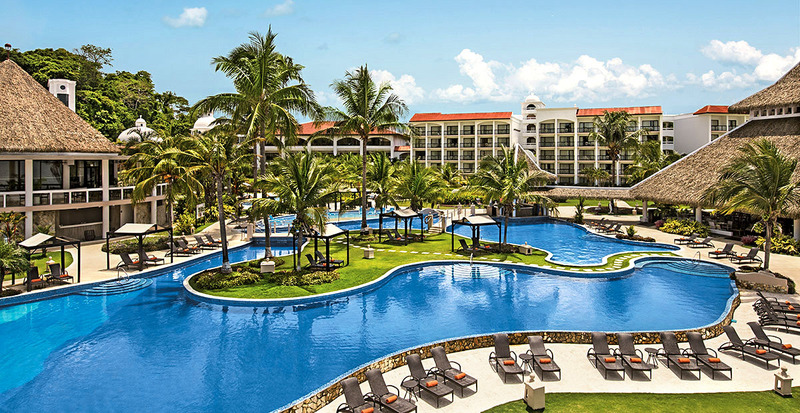 Whether you are at the beach, in the pool, at the world-class spa, dining on authentic Mexican cuisine or enjoying the perks of complimentary greens fees at nearby golf courses, you are sure to make many special memories. Let us show you Central America — the vibrant cultures, golden beaches, lush jungles and luxury hotels that open you up to a world where adventure meets luxury. 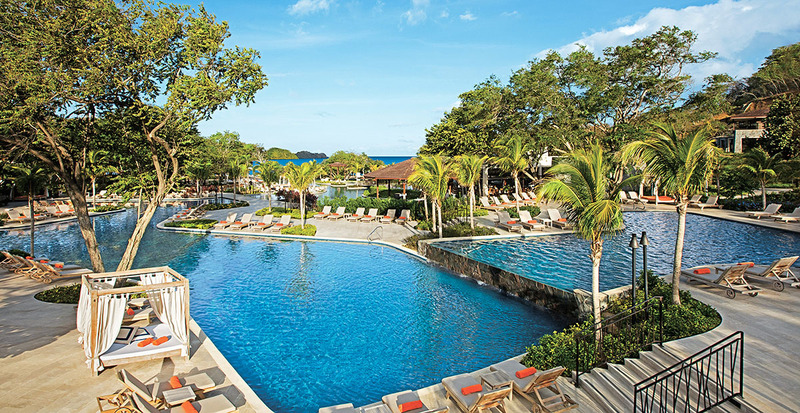 On Costa Rica’s northern coast of Guanacaste, in the beautiful Playa El Jobo amidst tropical jungles and a sunny beach shaded by palm fronds, you’ll find Dreams Las Mareas Costa Rica, an Unlimited-Luxury® resort. Relax and unwind in the resort’s contemporary-designed interiors with tasteful and authentic décor. 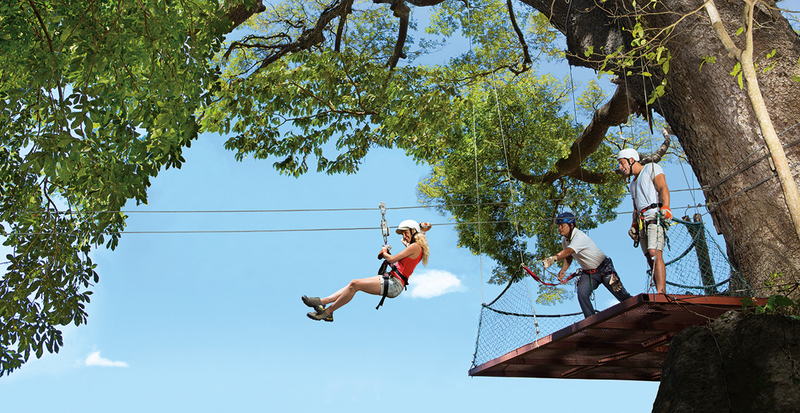 Beyond the resort, the surrounding fishing community and the wildlife-filled mountain range of Guanacaste offer a variety of exciting tours and excursions. Discover the unique destination of Panama, where you can experience beaches, rainforest, mountains and Panama City’s historic attractions, all from Dreams Delight Playa Bonita Panama. Located on Playa Bonita, meaning “beautiful beach,” this Defined Delights™ resort is perfect for special romantic getaways and memorable family vacations. Its 11 seaside towers offer 307 luxurious guest rooms and suites with jungle walkways and stunning views, while gourmet à la carte restaurants tempt your taste buds. Paradise is calling. We’ll help you answer it, planning every detail of your vacation with Travel Impressions so you can truly sit back and relax.